Kinder Kidz is a starter tennis program for Kindergarten children. 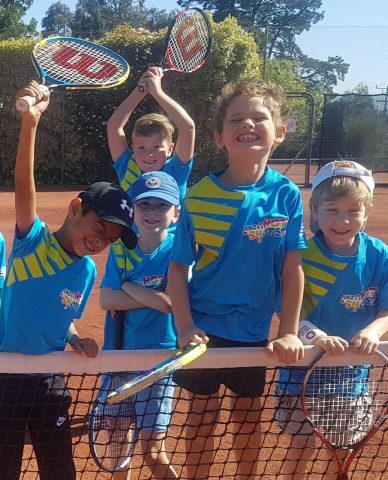 Professional coaches combine fundamental motor skills with a game based approach which introduces the children to the wonderful game of tennis. Booking required please call Lisa on 0407 050 060. Summer 18/19 Eastern Region Tennis Starts October 13 & 14. To celebrate a fantastic 2018, and to thank our customers for their support we are holding our Annual Christmas Party on Sunday 25th November. There will be something for everyone, so please bring the whole family for a hit, have a bash on the ball machine, enjoy a BBQ or just relax by the bar. 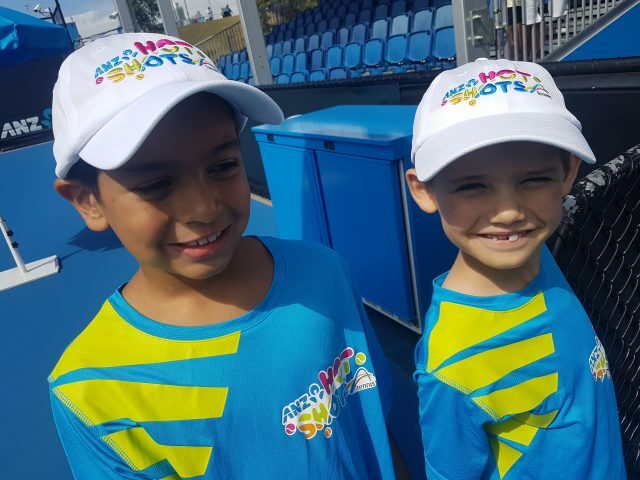 10 lucky children from Mark Hartnett's Pro Tennis Academy will get the opportunity to play on court at the 2019 Australian Open Hot Shots Show Case. 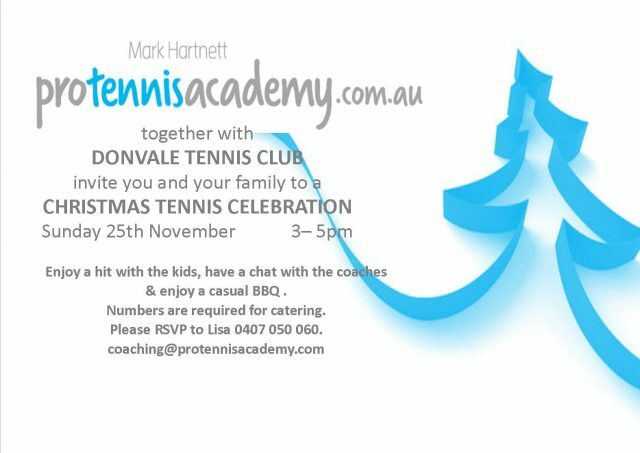 Two teams from Donvale Tennis Club will get the opportunity to represent Mark Hartnett's Pro Tennis Academy at the 2019 Australian Open. 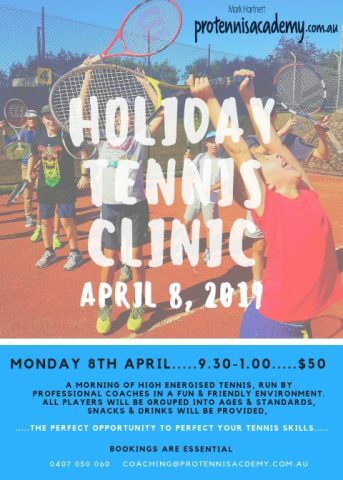 Our Junior Holiday Clinic will be held from 9.30am - 1.00pm on Monday 8th April. 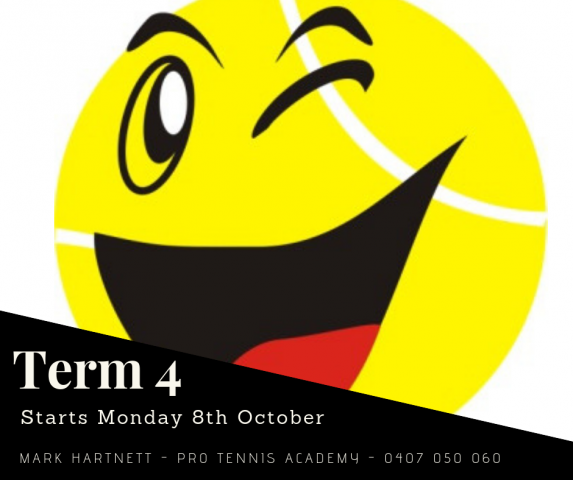 This is the perfect opportunity for your child to work on your skills or even introduce your child to the wonderful world of tennis. We will provide quality coaches in a fun and friendly environment, the kids will have a blast!!! Bookings are Essential.